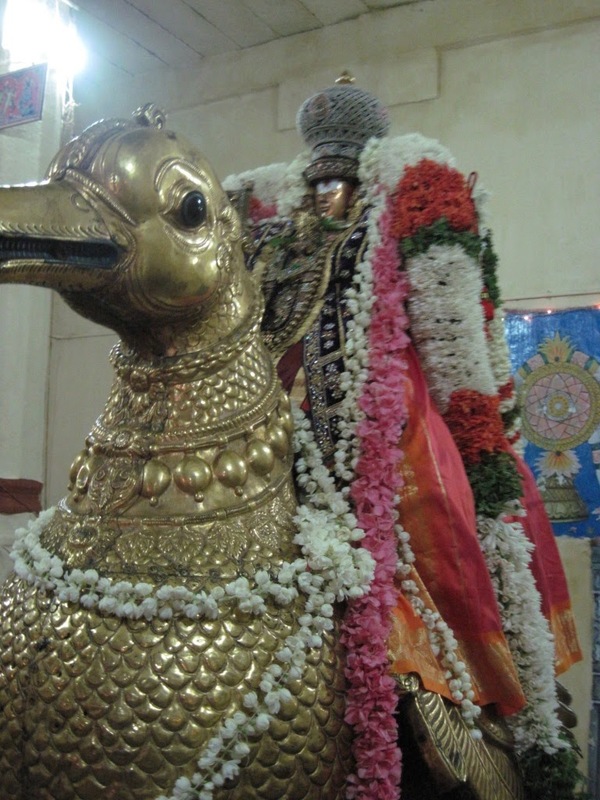 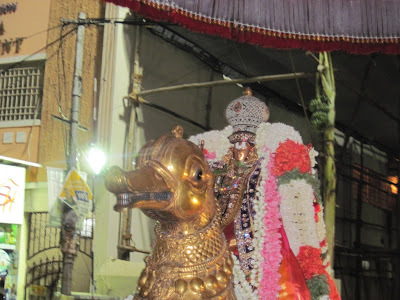 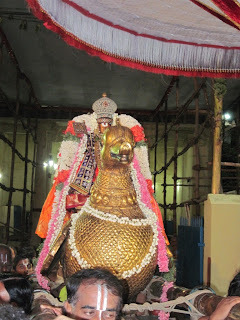 Today - 20th April 2012 - is the third day of Udayavar Uthsavam. In the morning there was purappadu of Udayavar in Palanquin and in the evening it was Hamsa vahanam. 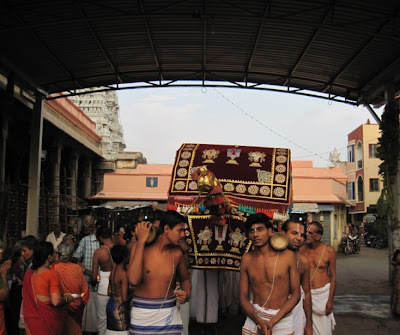 Here are some photos taken during the Purappadu of Emperumanar.